John F. Kennedy once wrote “Every American who has ever lived, with the exception of one group, was either an immigrant himself or a descendant of immigrants." Since the country’s founding, immigrants have contributed a critical component of what makes the United States such a vibrant and unique country in the world. No matter where an immigrant comes from, the challenges of moving don’t end on the day he or she enters the United States. Once in the country, legally or illegally, naturalized or not, immigrants face decisions on how to present themselves, whether to give up their names or native languages, and what being “American” means for them. As a result, the immigration experiences of some Americans — even those the United States has embraced as iconic Americans — have been quite varied. Muir struggled with his family’s religious beliefs but found spiritual comfort in the great outdoors. Muir was a co-founder of the Sierra Club, helping to establish Yosemite National Park and permanently shape America’s extraordinary national park system. Muir maintained strong Scottish ties, and kept his Scottish accent, throughout his entire life. Joseph Pulitzer was born in Hungary and lured to the United States by American military recruiters who wanted him to fill in for a rich draftee. After serving in the Union Army, he studied English and became a newspaper reporter, rising through the ranks and eventually purchased New York World. Pulitzer competed with newspaper magnate William Randolph Hearst and served a term as US Representative for New York. Before his death, he donated the money that founded the Columbia School of Journalism. His prestigious Pulitzer Prize has been giving awards to journalists since 1917. 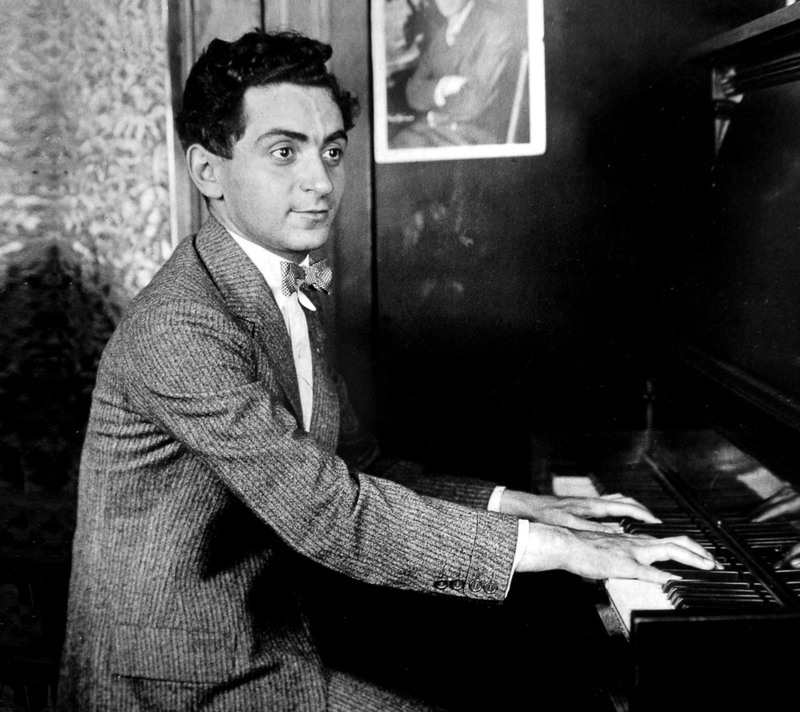 Irving Berlin is widely considered one of the greatest songwriters in American history. Berlin’s music forms a large portion of the most important and influential American popular songs and jazz standards from the early 20th century. Born as Israel Beilin in a Russian hut with a dirt floor, Berlin’s family fled Russia to escape the violent massacre of Jews. Irving entered the country through Ellis Island and lived with his family in a Lower East Side windowless basement, where he became fascinated by ragtime and saloon music. While serving in World War I, he wrote “God Bless America.” It went on to become one of the most famous patriotic American songs of all time. Rita Moreno is a Puerto Rican-American actress, dancer and singer. Moreno is one of only twelve “EGOT” performers in American history to have won all four major American entertainment awards: an Oscar, an Emmy, a Grammy and a Tony. She was also awarded the Presidential Medal of Freedom, America’s highest civilian honor. Born in Puerto Rico, she immigrated to the mainland with her seamstress mother. In the Bronx, she dodged street gangs and learned English while developing a talent for dancing and singing. She performed on Broadway by age 13 and got her big break in show business as the Spanish Elizabeth Taylor. Moreno is best known for roles in iconic American films West Side Story and Singin’ in the Rain. As the United States’ first female Secretary of State, Madeleine Albright was the face of America all around the world. Albright was born in Czechoslovakia in 1937, the daughter of a Czech diplomat. Her family fled to the United Kingdom, then the United States in 1948 after Hitler dissolved Czechoslovakia. When nominated by Bill Clinton as US Secretary of State in 1996, Albright was unanimously approved by a US Senate vote of 99–0. She was awarded the Presidential Medal of Freedom in 2012. Lead guitarist of the eponymous American hard rock band, Eddie Van Halen is widely considered one of the most influential guitarists in the history of American rock music. Born in the Netherlands to a Dutch classical musician father and Indonesian-born Eurasian mother, Van Halen immigrated to California as a child. Eddie learned to play classical piano and electric guitar and eventually formed the rock band Van Halen with his brother Alex and David Lee Roth. Van Halen is known as a quintessential American rock band of it’s era with a place in the Rock and Roll Hall of fame. While Joni Mitchell is widely known for her songs about New York and California, she was born in Canada in 1943 to parents with Scottish, Irish and Norwegian family roots. Mitchell came by her folk roots via small towns in rural Saskatchewan Canada. Born in Russia to Jewish parents, Sergey Brin immigrated to the US at age 6. Brin’s family were part of a Jewish academic exodus from the USSR due to Communist Party anti-Semitism and barring Jews from upper professional ranks and universities. Brin followed in his father’s and grandfather’s footsteps by studying mathematics, as well as computer science. While working on his PhD at Stanford, Sergey met Larry Page and developed data mining software to build a search engine in their dorm room. This software “Backrub” became the basis for their startup Google whose mission is to “Organize the world’s information and make it universally accessible and useful.” Google’s wild commercial success has made Brin the world’s 13th wealthiest person. Sosa had a hard childhood, with his father passing away when he was just seven. His family lived in an abandoned hospital while Sammy sold oranges on the street and shined shoes to make ends meet for his mother and six siblings. But his natural ability at baseball paid off when he was discovered by a professional scout. Sosa went on to become one of the iconic all time greatest American players in baseball history. Sosa achieved many records during his career including being one of only nine baseball players in history to hit more than 600 home runs and the only player ever to hit 60 home runs in 2 different seasons. Son of a Canadian mother and a South African father, Elon Musk was born in 1971 in South Africa. Musk immigrated to the US to study business and physics at the University of Pennsylvania. Musk used his early entrepreneurial success with an online city guide Zip2 to finance a steadily growing list of entrepreneurial ventures including PayPal, Space X, Solar City and Tesla Motors that epitomize the American entrepreneurial dream.